Highly Recommend Thank you for recommending me this product. O....M......G..... I am super excited! Thank you Aunty Sasa for recommending this product to me. 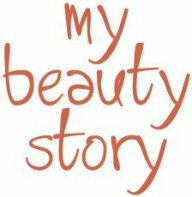 I was using a premium "S" brand that beautystory is selling. However I do not see much improvement for my spots. However I did not give up and buy another bottle to try. When I went for store pickup, I told my concerns to aunty and she asked me to try this brand because they famous for whitening. Being skeptical but yet trying to trust Aunty, I decided to give it a try. Aunty is very very nice. Canceled my original order and ask me to buy this instead. So since I am very cynical how can Shiseido be better than the premium brand that I was trying. So I decided to take a picture of my super annoying dark spots, and see if REALLY got improvement and as good as Aunty says. I must say Aunty really know what she is talking about. After all she say she is a beautician for more than 30 years. So I compared the dark spots after using about 10 days, morning and night. Really got improvement. The spots are lightening and instead of concentrated in one area it is spreading out. Bear in mind this is taken in my room, same position on my bed. same room lighting, at night. I really cannot believe it. It is really good! And I actually considered spending 2k+ going for laser for this spot. Now I think I can postpone it already! Thank you again. Thank you thank you thank you. Item ordered and claimed to be delivered but was not delivered. Not sure where the item disappeared to. Now have to go through the hassle of filing claim through helpdesk. Hi, the option is for 3x sleeping mask 80ml? Hey your options are all named different, which is luminizung surge and which is luminizung infuser? Hey your options are all named different, which is luminizing surge and which is luminizing infuser? Luminizing surge is night moisturiser- light emulsion kind. 75ml.